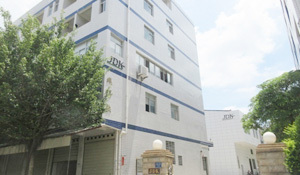 Quanzhou JDK Diamond Tools Co., Ltd is a high-tech company, with strict quality control system and standardized management. It is combined with scientific research, production, sales and service. JDK Locates in a beautiful coastal city which is famous for stones and stone arts - Quanzhou, China, with elegant surroundings, easy transportation and great facilities. JDK has been engaged in manufacturing and exporting worldwide quality diamond tools since 1995. With a professional R&D team of more than 10 people, JDK products include a series of Cutting, Grinding, Profiling and Milling tools for processing hard and fragile materials, such as Natural Stone, Ceramic Tile, Concrete etc. Main products are Diamond Blades, Diamond Segments, Diamond Wire Saws, Diamond Fickert / Frankurt, Diamond Router Bit, Diamond Cup Wheels, Diamond Polishing Pads as well as PCD/HTC Tools. In addition, customerized products are always welcomed. JDK Build a scrupulous and diligent study of the quality assurance team, not only ensuring the quality of raw materials and finished products, as well as strict monitoring process to ensure product quality at all times under the management of the company strictly. The development of advanced test equipment for R & D team plays a role as powerful hose in constantly developing new products and maintain technological leadership.